The Band's 'Music From Big Pink' Gets 50th Anniversary Reissue A limited edition of the box set will be available in pink vinyl. Garth Hudson (left), Robbie Robertson, Levon Helm, Richard Manuel and Rick Danko of The Band pose for a group portrait in London in June 1971. Before finding their footing with this debut album, Levon Helm, Robbie Robertson, Rick Danko, Garth Hudson and Richard Manuel played as backing musicians for Ronnie Hawkins and Bob Dylan. After the 1966 Dylan tour, the group hunkered down in the Big Pink house in West Saugerties, N.Y. 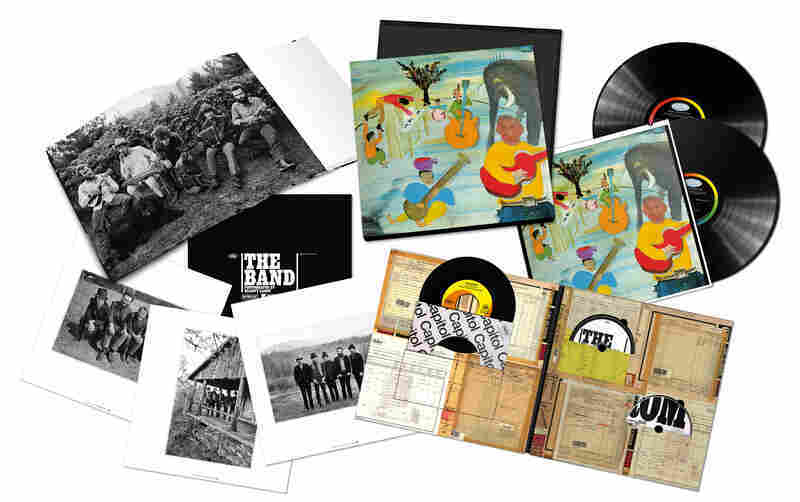 The Band will also release a double-LP vinyl box set of the album, which includes the CD, digital access and a high-res surround mix on Blu-Ray. It also includes a reproduction of the 7-inch single "The Weight" b/w "I Shall Be Released," and a hardback book with an essay by music journalist David Fricke and photos by Elliott Landy. And yes, there are limited-edition versions with pink vinyl. 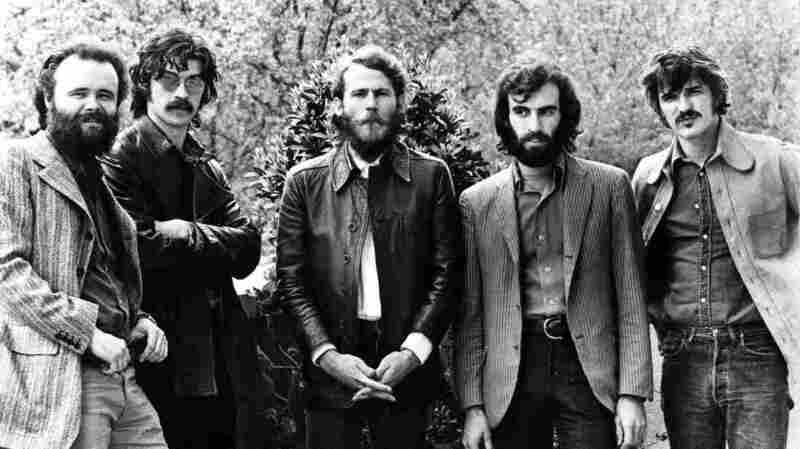 In his 1993 memoir, titled This Wheel's On Fire, the dearly departed Levon Helm wrote, "We wanted Music From Big Pink to sound like nothing anyone else was doing. This was our music, honed in isolation from the radio and contemporary trends." Although the album was not immediately popular on its release, Music From Big Pink is now widely recognized as one of the most influential albums of all time. Eric Clapton, George Harrison and Roger Waters all credited the album as having a deep effect on their musical trajectory. July 1 marks Music From Big Pink's 50th anniversary.